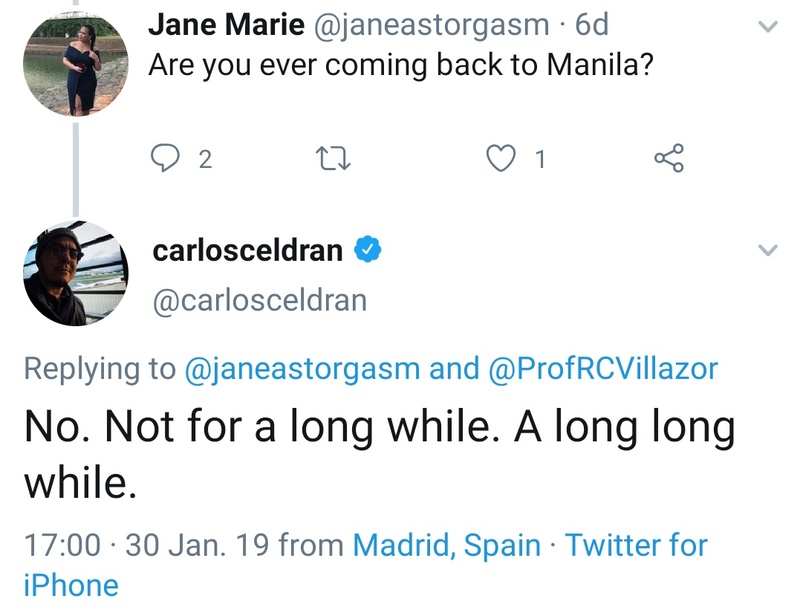 Perhaps this “long long while” means about 13 months, right Mr Celdran? Celdran faces imprisonment for 2 months and 21 days at minimum, and 1 year, 1 month, and 11 days as maximum. This is the consequence Celdran faces for his Damaso stunt in 2010. Is Celdran fleeing his accountability to the Filipino people for offenses he has not served time for yet? Why was he even allowed to leave the country? The mystery persists. One thing’s for sure, the prison experience doesn’t look quite like the way Celdran portrayed it back in the day — when he appeared a lot cockier about the pickle he finds himself in. Previous Previous post: Ph “journalism” has lost CREDIBILITY because people like @jnery_newsstand and @JeffCrisostomo INSULT their readers’ intelligence! Next Next post: According to @TIME Magazine, Rappler CEO Maria Ressa is being harassed for being a Tax Evader!